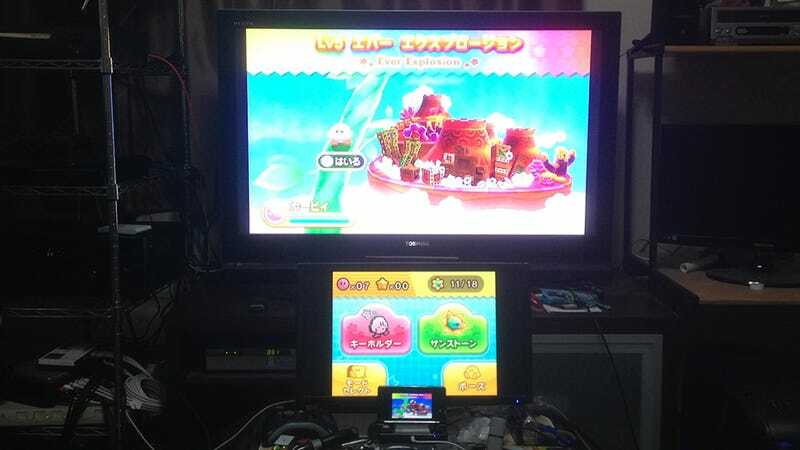 Have you ever dreamed of playing your 3DS games on a big screen TV? I know I have. While many people are happy to play their portable at home or on the road, if given the choice, I will always choose the TV. But as 3DS can't output to a TV, I've always had to just grit my teeth and accept it—that is until now. Searching the net last week, I came across Katsukity, a website claiming to be able to mod a 3DS with a special circuit board so it can output its video to a computer (and through your computer to a TV, if you have the two connected). But while everything looked on the up-and-up—as there are numerous YouTube videos that claim to use the mod—I was still skeptical. After all, sending hundreds of dollars to some faceless group of people is always daunting to say the least. But luckily for me, the company responsible for these mods isn't half a world away; it's right here in Tokyo. So after making an appointment through their English customer service, I went down to their office in person to check the whole thing out. I met with Toru Katsuki, the company president, and one of the four people working in the small, two-room Tokyo office—a waiting room filled with anime and game memorabilia and a workshop area with workbenches, packages, and piles of new and used portable systems. There, he invited me to play a bit of Monster Hunter 4 on their demo station (made out of an old arcade cabinet). Under the cabinet was a PC and on top was a dual monitor setup that mirrored each screen of the 3DS attached to it. I played around with it for a brief minute, then handed over my 37,280 yen (about $361), fully convinced that it worked. Together, we went into the back room and he let me choose my 3DS, a brand new shiny black one still in the box. He then told me to come back in an hour, when the modification would be finished. After roaming the streets of Akihabara for an hour, I returned to the office where Katsuki handed me my newly-modded 3DS. We hooked it up to the demo station and it worked perfectly. With the business end out of the way, we sat on the waiting room couches, with a life-size Rensouhou-chan on one side and a Steins;Gate-inspired clock (made by Katsuki himself) on the other, as I asked him about his company. Katsuki has been in the games business for twenty years—though mostly on the software side—and first made games on the original PlayStation. It was about five years ago that he began working with game system hardware. “I love Japanese games,” Katsuki replied when I asked him why he started doing this. “But I dislike playing on the DS because it is so small. I wanted to play on a bigger screen.” So he set to work with other like-minded people to do just that. Even now, while the circuit board and chipset (which are made by another company) could be assembled by machine, he prefers to assemble them by hand for better quality. Currently, the people at Katsukity (or Keity as it’s called in Japan) mod far more than just the 3DS. They currently mod the DS Lite, DSi, DSXL, 3DSXL and Vita—and look to introduce a 2DS mod next month, with a Vita Slim mod planned for sometime in the future. Moreover, they will mod a system of any region. Curious, I asked Katsuki to walk me through the process of ordering internationally via the internet instead of walking in to the store as I had done. He told me that their turnaround time is very quick. If you order the mod installed on a new or used console they have in stock, they tend to mod it immediately and then send it out the same day via DHL. After all, it only takes one hour to mod a system—20 to 30 minutes to do the assembly and 30 minutes for testing. If, however, you want to send in a system you already own instead of buying one they have in the store, it takes a bit longer as they obviously have to receive it before they can get to work on it. Upon arrival, they will test your system to make sure it is in good working order. Then, the mod process will begin. Because the company tests each modded system before sending it out, it is not likely that there will be a problem with the unit. However, if there is a problem with the modded system upon delivery, Katsuki will troubleshoot with the customer (in either Japanese or English). If it’s a software problem, he'll even go so far as to use a remote desktop program to help the customer connect the system to his or her computer. If there is a hardware problem, he invites you to send it back for a free repair. I followed up by asking Katsuki if he was worried about possible objections from Sony or Nintendo. He had very little to say on the topic, just that he had had no problems with them. None at all. In the end, Katsuki is in the system-modding business for the long haul and plans on continuing for many years to come. “When the next 3DS—the next generation—comes out, if we can do it we will make a mod kit for it as well,” he told me in closing.